Although the practice of assigning books of poetry in translation to reviewers who lack knowledge of the original’s language has become something of a commonplace in our literary culture, one hopes for a higher standard from the New York Times Book Review. Sadly, that standard has been neglected in the April 19 review “A Poet’s Progress” of the recently published translations of C. P. Cavafy’s Collected Poems and Unfinished Poems by Daniel Mendelsohn, just as it was in the review of Aliki Barnstone’s volume of translations of the same poet in the issue of 26 March 2006. In each case, it appears a writer of repute was invited to provide an expert assessment of a kind of work for which he is not fully qualified. Two years ago in his review of Barnstone’s translations of Cavafy, Brad Leithauser prepared his readers at certain points to infer that he was not familiar with the poet’s texts in Greek; this past week in his review of Mendelsohn’s two-volume Cavafy James Longenbach is notably less transparent about his familiarity with the poems in the original. 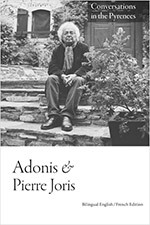 In each case, the reviewer fulfills the requirement of producing a lively and informative read, but both devote too much space to rehearsing what others, including the translators in their introductions, have written about Cavafy and his poetry. Mr. Longenbach, who begins his review with yet one more quotation of E. M. Forster’s once iconic but by now exhausted remark about Cavafy “standing absolutely motionless at a slight angle to the universe” (at least Mendelsohn waits until the eleventh page of his long introduction to invoke it), keeps addressing the question of Cavafy’s “tone” with a kind of confidence that might suggest he has engaged with it in the poet’s own language. 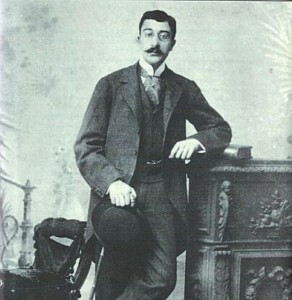 But a careful comparative reading of his review and Mendelsohn’s introduction reveals that the critic’s praise of the translator’s achievement in capturing Cavafy’s tone is not a privately earned position but merely a recapitulation of what Mr. Mendelsohn almost simultaneously announces as his intention and accomplishment. The one passage in the review in which the reader might suspect the critic actually compared the words in one of the translations with its counterparts in the original, the discussion of the choice of the word kid in the poem “Days of 1909, ’10 and ’11,” turns out to be nothing more than a paraphrase of the translator’s own explanation of his strategies in dealing with it (p. xliv of the introduction). It is disappointing that Longenbach (unlike Mr. Leithauser) fails to mention a single other translator from among the many who have contributed to the current phenomenon of translating Cavafy into English. Mendelsohn also pays scant attention to his eminent predecessors, making only token mentions of John Mavrogordato, Rae Dalven, and Edmund Keeley and Philip Sherrard, all of whom first published their Cavafy translations between 1951 and 1975, and ignoring the numerous men and women who have contributed to the enterprise since then. By outdoing Mendelsohn in this department, Longenbach relegates them all to the nameless status of the “earlier.” In fact, the only specific comparative literary observation he bothers to make doesn’t come until the end of the review, where it seems his interest lies in proclaiming a triumvirate of contemporary translations, Mendelsohn’s Cavafy, Richard Howard’s Baudelaire, and Robert Pinsky’s Dante (based on the last time I looked, shouldn’t this read Inferno?). As someone who has read Cavafy since being engulfed by the Alexandria Quartet, first thru Rae Dalven, then in the Keeley & Sherrard translations, & who doesn’t have any modern Greek, I’m perplexed by all this kvetching — are the new translations somehow “better” than what we’ve had, do the new translations show me something about the poet that the old translations obscured, ultimately must I buy another volume, or can I feel that the poet is in the room with these older volumes on the shelf? Or is this just about the reviewers the NYT Book Review picks for the job? (They do seem to pick the same guys, particularly for their poetry-in-translation reviews).